We may modify or terminate our services from time to time, for any reason, and without notice, including the right to terminate services with or without notice, without liability to you, any other user, or any third party. We reserve the right to modify these Terms of Service from time to time without notice. Please review these Terms of Service from time to time so that you will be apprised of any changes. It is our policy to respond to notices of alleged infringement of intellectual property that comply with the Digital Millennium Copyright Act of 1998 and Title 17 of the United States Code . Elsevier disclaims any and all responsibility or liability for the accuracy, content, completeness, legality, reliability, or operability or availability of information or material displayed on the netterimages.Com web site. Elsevier disclaims any responsibility for the deletion, failure to store, misdelivery, or untimely delivery of any information or material. Elsevier disclaims any responsibility for any harm resulting from downloading or accessing any information or material on the internet through the netterimages.Com web site. 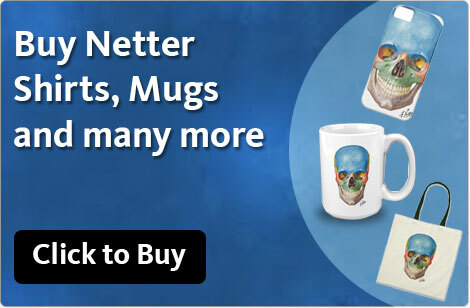 The netterimages.Com web site is provided "as is," with no warranties whatsoever. Elsevier expressly disclaims to the fullest extent permitted by law all express, implied, and statutory warranties, including, without limitation, the warranties of merchantability, fitness for a particular purpose, and non-infringement of proprietary rights. Netterimages.Com disclaims any warranties regarding the security, reliability, timeliness, and performance of the netterimages.Com web site. 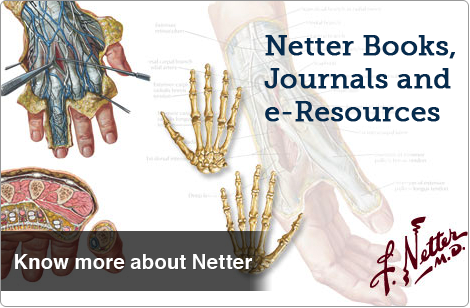 Elsevier disclaims, any warranties for any information or advice obtained through the netterimages.Com web site. Elsevier disclaims any warranties for services or goods received through or advertised on the netterimages.Com web site or received through any links provided by the netterimages.Com web site, as well as for any information or advice received through any links provided in the netterimages.Com web site. You understand and agree that you download or otherwise obtain material or data through the use of the netterimages.Com web site at your own discretion and risk and that you will be solely responsible for any damages to your computer system or loss of data that result from the download of such material or data. Some states or other jurisdictions do not allow the exclusion of implied warranties, so the above exclusions may not apply to you. You may also have other rights that vary from state to state and jurisdiction to jurisdiction. Under no circumstances shall elsevier be liable to any user on account of that user's use or misuse of or reliance on the netterimages.Com web site. Arising from any claim relating to this agreement or the subject matter hereof, such limitation of liability shall apply to prevent recovery of direct, indirect, incidental, consequential, special, exemplary, and punitive damages- whether such claim is based on warranty, contract, tort (including negligence), or otherwise (even if elsevier has been advised of the possibility of such damages). Such limitation of liability shall apply whether the damages arise from use or misuse of and reliance on the netterimages.Com web site, from inability to use the netterimages.Com web site, or from the interruption, suspension, or termination of the netterimages.Com web site (including such damages incurred by third parties). This limitation shall also apply with respect to damages incurred by reason of other services or goods received through or advertised on the netterimages.Com web site or received through any links provided in the netterimages.Com web site, as well as by reason of any information or advice received through or advertised on the netterimages.Com web site or received through any links provided in the netterimages.Com web site. This limitation shall also apply, without limitation, to the costs of procurement of substitute goods or services, lost profits, or lost data. Such limitation shall further apply with respect to the performance or non-performance of the netterimages.Com web site or any information or merchandise that appears on, or is linked or related in any way to, the netterimages.Com web site. Such limitation shall apply notwithstanding a failure of essential purpose of any limited remedy and to the fullest extent permitted by law. Some states or other jurisdictions do not allow the exclusion or limitation of liability for incidental or consequential damages, so the above limitations and exclusions may not apply to you. Without limiting the foregoing, under no circumstances shall elsevier be held liable for any delay or failure in performance resulting directly or indirectly from acts of nature, forces, or causes beyond its reasonable control, including, without limitation, internet failures, computer equipment failures, telecommunication equipment failures, other equipment failures, electrical power failures, strikes, labor disputes, riots, insurrections, civil disturbances, shortages of labor or materials, fires, floods, storms, explosions, acts of god, war, governmental actions, orders of domestic or foreign courts or tribunals, non-performance of third parties, or loss of or fluctuations in heat, light, or air conditioning. These terms of service will be governed by and construed in accordance with the laws of the state of new york, without giving effect to its conflict of laws, provisions, or your actual state or country of residence. If for any reason a court of competent jurisdiction finds any provision or portion of the terms of service to be unenforceable, the remainder of the terms of service will continue in full force and effect. These terms of service constitute the entire agreement between the parties with respect to the subject matter hereof and supersedes, and replaces, all prior or contemporaneous understandings or agreements, written or oral, regarding such subject matter. Any waiver of any provision of the terms of service will be effective only if in writing and signed by Elsevier.